It's a crisis of terror in the making and perhaps the hardest personal fight of Mack Bolan's career. A Mideast powder keg is about to blow as an international conspiracy brokers a deal for destruction. Fellow Stony Man warrior Yakov Katzenelenbogen has gone rogue -- an old war horse who has made this battle, his last battle, extremely personal. Bolan understands the need for retribution. But he also knows that Katz's one-man juggernaut could jeopardize Stony Man, the U.S., and all they've fought for over the years. Worse, he knows what the final confrontation could all come down to, as a soldier, as a friend. 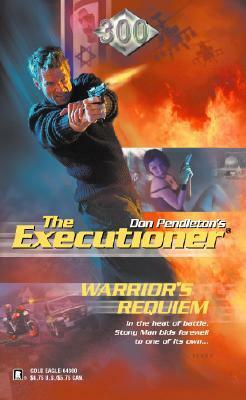 A warrior first and forever, the Executioner is ready to do whatever it takes.